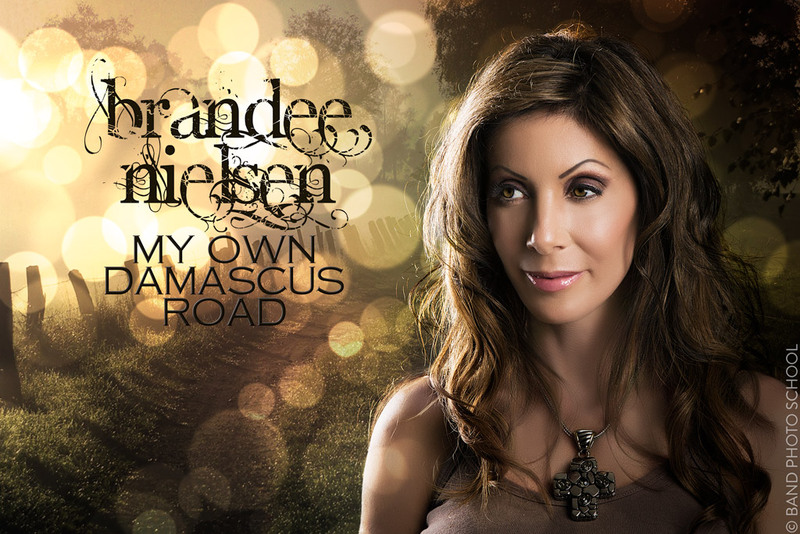 Created in August 2013 for Christian singer/songwriter Brandee Nielsen, this image is a composite of several individual shots, and was intended to evoke a peaceful, reflective sort of vibe. It was lit in the studio specifically for a composite (as almost all of my images are), so when I added a warm, glowy sunrise to create the illusion that Brandee was standing on a country road, everything matched up quite nicely. Lit with two Elinchrom Quadras placed inside two 42x18 stripboxes that were placed opposite of each other-- the key to camera right at approximately 45 degrees, and the other behind the subject to camera left, with power level set to about 2 stops hotter. This image was processed in Lightroom for basic color correction, but the heavy lifting was done entirely in Photoshop. A bokeh texture was added, and of course the country road background was dropped in and adjusted for consistent color and lighting.